In this article, we will take a look at McAfee for Mac, or rather, how to uninstall McAfee on Mac correctly since most users have trouble with its complete removal. Remove McAfee via the Terminal. Remove McAfee’s remains using App Cleaner. Before taking you through the antivirus removal process, it is important to note that you should never try to uninstall McAfee by dragging and dropping it to Trash alone. This recommendation works for any other application on Mac because the applications’ service files remain and take up space on your disk. Furthermore, apps like McAfee may have processes working in the background. 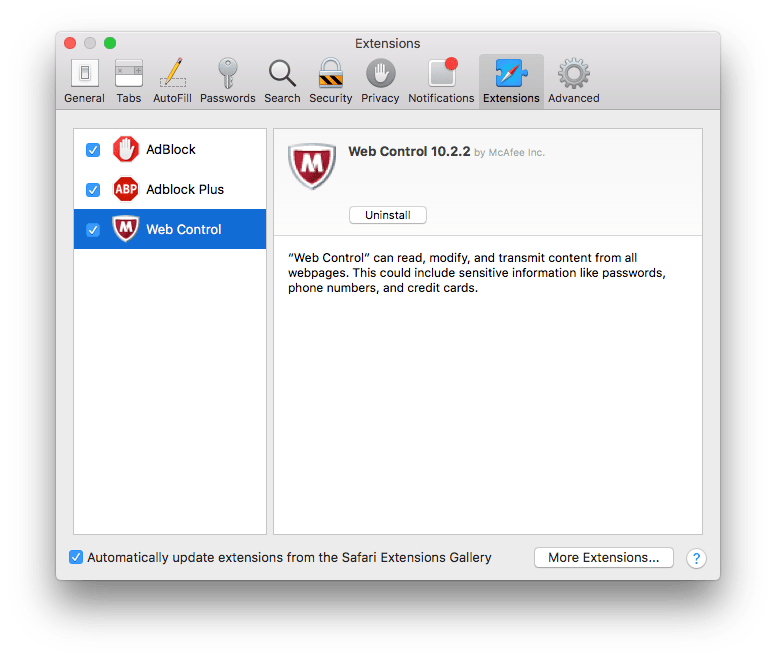 Learn below how to uninstall McAfee correctly or read our previous article about the complete removal of applications on Mac. If, working with Terminal is quite problematic for you, here is also another way to remove the Mcafee – with App Cleaner. The official website of McAfee developers says that you can uninstall their app with a special command in the Terminal. Open the Terminal from the Launchpad. Now type in the window one of the following commands, depending on which version of the antivirus you use. That was the official version of the McAfee uninstallation. However, some users complain that, even after these steps, the app still shows some notifications on their Macs. Therefore we recommend that you check for its leftovers with a special utility App Cleaner & Uninstaller. 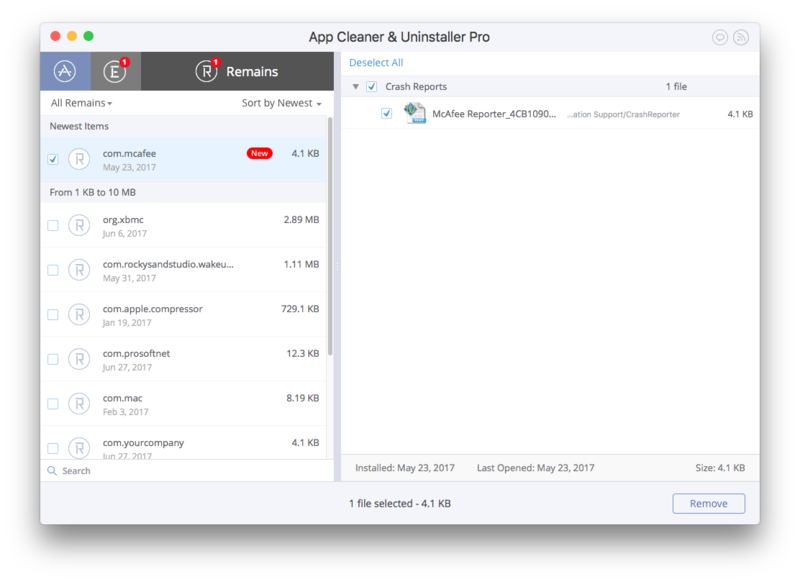 App Cleaner & Uninstaller is a removal tool for any application on Mac. It uninstalls apps completely, finds traces of deleted apps and allows you to operate extensions. Go to the Remains Tab. Find McAfee leftovers and remove them. Also, McAfee by default installs a Safari extension. As we have mentioned, App Cleaner allows you to disable/enable and remove extensions, so just go to the Extensions tab and remove McAfee extension for Safari if you have it.